We are honoured to have won the 2016 Royal Institute of Chartered Surveyors (RICS) prestigious National award for best UK development project. We feel very proud that all our hard work in making Romilly Quarter a success has been recognised by the judges. We were competing against national contractors and well known large scale residential developments. 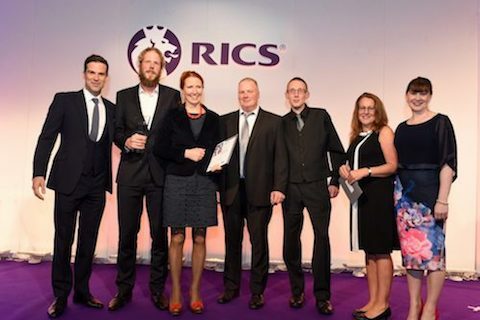 A huge morale boost for us and it proves that sometimes the underdogs can win – Thank you RICS! The RICS Awards 2016 Grand Final page can be viewed here. The RICS Awards 2016 Grand Final YouTube highlights video can be viewed here. Specialising in the sympathetic renovation and reimagining of historic buildings. We undertake domestic commissions for houses in Bristol, and the surrounding area, and offer a full design & build service. Please contact us with your grand design! When a house becomes a home! ©2019 Brownfield Green. All Rights Reserved.